People often become victims while making a transaction from an ATM. Fraudster may try to obtain the data from your credit or debit card to withdraw money or grab the cash after you withdraw. State Bank of Pakistan also issues instructions regularly for safe ATM transactions. 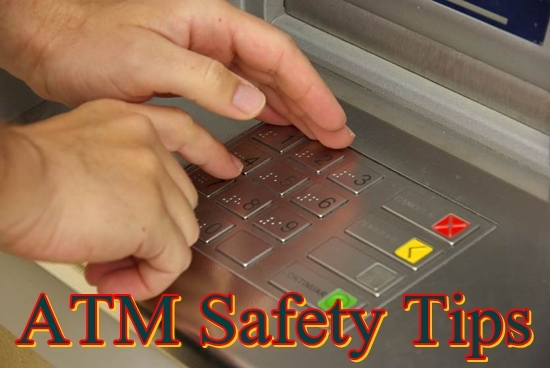 Here are some very important safety tips you need to keep in mind while withdrawing money at an ATM. Always select the right ATM, preferably inside a bank location. Avoid using ATMs that are situated in areas with no visible security guard and security surveillance cameras. Try to use ATM at daytime in working hours or ensure ATM place is well lit. Never allow unknown person to enter with you. Keeps others outside the cubicle while you are using the ATM. Always check the ATM especially keypad and card slot. Look for visible signs of tampering with the ATM. Ensure that your personal belongings (mobile, laptop or shopping bag) also secured. Put cash in pockets/bag quickly while being inside the cubicle. Do not count cash outside the cubicle. Cover the keyboard while entering the (PIN) Personal Identification Number. Never share your PIN with anybody including Bank Staff. Make it your habit to change the PIN frequently. If your ATM card gets stuck in the ATM machine; (i) do not leave the ATM unattended. (ii) Call the bank helpline from the phone usually present in the booth, or a bank employee if within a branch. (iii) never accept assistance offered by strangers. If you feel something suspicious, don’t make a transaction and immediately notify the Bank. Keep the receipts of last few transactions instead of throwing them near the ATM or dispose it off carefully. People may know the remaining balance in your account from these slips. If you lose or misplace the ATM immediately report the loss to the Bank and block the card. Do not forget to take your card when leaving the ATM. These tips are meant to make you aware.